How to get rid of Facebook Timeline (and bonus)? – The "Not so Useful Blog!" If you don’t like the new Facebook Timeline and want it to removed in lieu of old Facebook Profile page, then you should know one thing – Facebook is not gonna do that, at least not anytime soon. So, can you get the old Profile page back by any means? The answer is – Yes, of course you can. Though the method is not official (in fact is complete opposite to that), it’s entirely harmless way to get the old Facebook Profile back. Read on! Few hours back, Mashable has done the story that Facebook Timeline doesn’t work on Internet Explorer 7, citing Facebook’s recommendation of using most up-to-date version of browser. 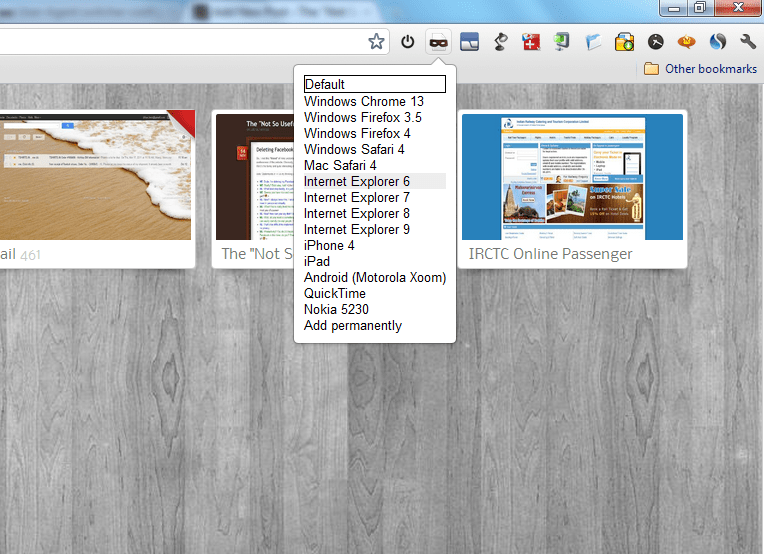 So, it’s quite simple, use Internet Explorer 7 (IE7) or less and get rid of Timeline completely, isn’t it? The situation is slightly tricky here – First, if you have Windows 7 then you cannot have IE7 installed and latest version of IE(9) is already installed. Also, older version of software means lesser support, buggy experience and most of the all vulnerability to viruses. Also, in case of Facebook, chat will not work properly. What’s the best way then? Enter the User Agents! Before you ponder about what it is (the Wikipedia page is not very comfortable to understand), lemme tell about this in brief. User agents are like identification of browsers. Simply put, a server identifies the browser by reading it’s user agent. So if you change the user agent, server will recognize you’re using different browser altogether. Easy! Now one final question arises? How can you change the user agent? Well, there’s an app for that (or extension to be more precise). 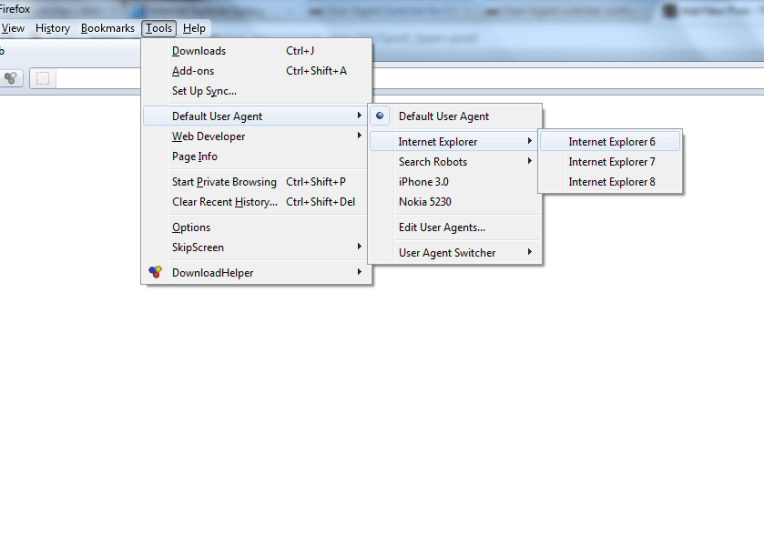 Download user agent switchers for Chrome, Firefox or Internet Explorer. It’s simple to install and once installed you’ll get the option to switch/change the user agent of browsers (see images below for details). I recommend using user agent of Internet Explorer 6 to be certain that Timeline doesn’t come up at all. 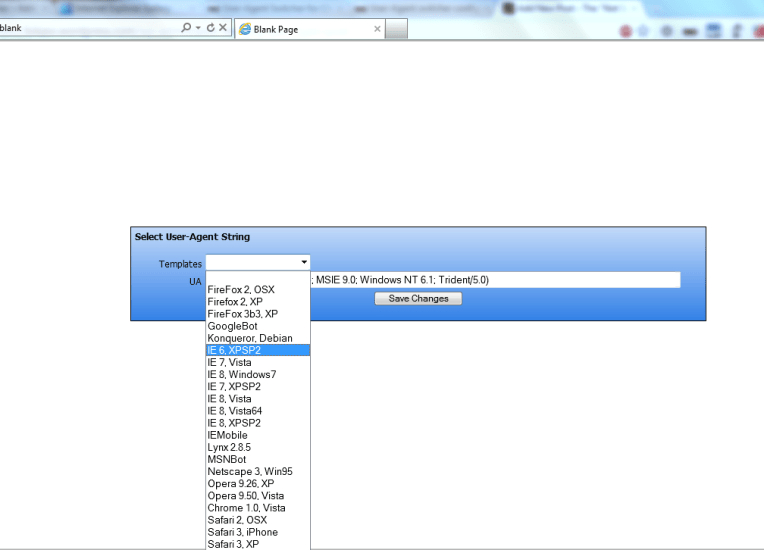 Change user agent in Internet Explorer. There are other benefits of using IE6 user agent as well – the news ticker will be gone and the chat will cover entire right part of window when opened, much like good old Facebook. once you set the user agent, just refresh the Facebook tab and see the magic! All this and that too without any issue or security problems. But keep one thing in mind, this no-Timeline thing will only appear for you and your friend will still see the Timeline if on supported browser. Let me know if you like the trick. Till then, Happy surfing!